Crumble is one of my favourite puddings. Soft fruit cocooned under a sweet, crisp topping; versatile enough to vary the fruit combination no matter the season. 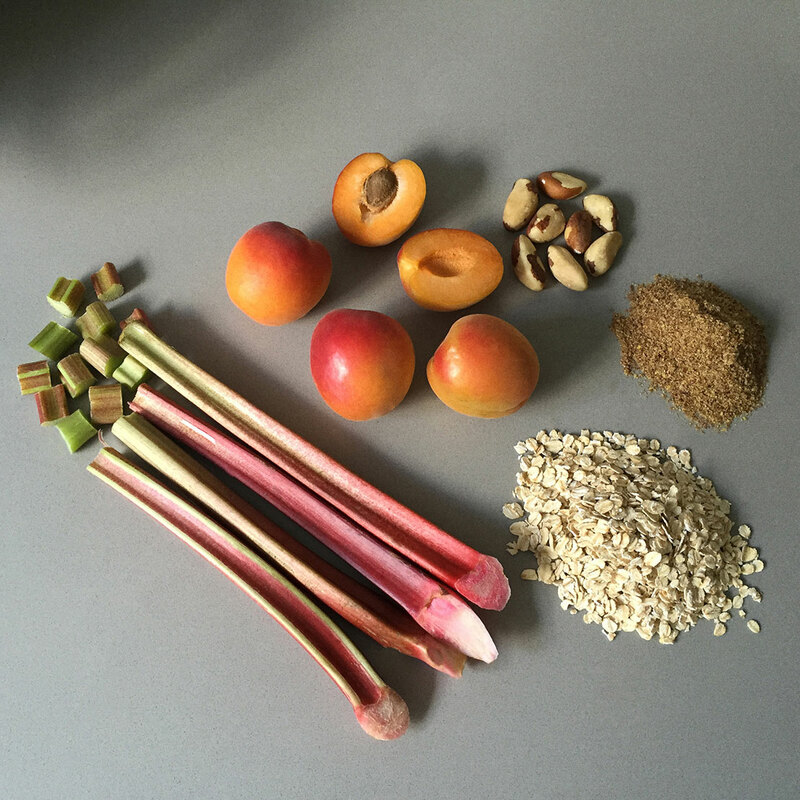 In this recipe I steep the rhubarb and apricots in earl grey tea rather than water, to infuse the fruit with a subtle, smoked bergamot flavour. • Cut the rhubarb into 1.5cm / 3/4 inch pieces. Cut the halved apricots in to small bite sized pieces. Place the fruit in a medium saucepan and stir in the brewed Earl Grey tea and agave or sugar. Simmer gently for 4 to 5 minutes, stirring regularly to allow the fruit to soften slightly. 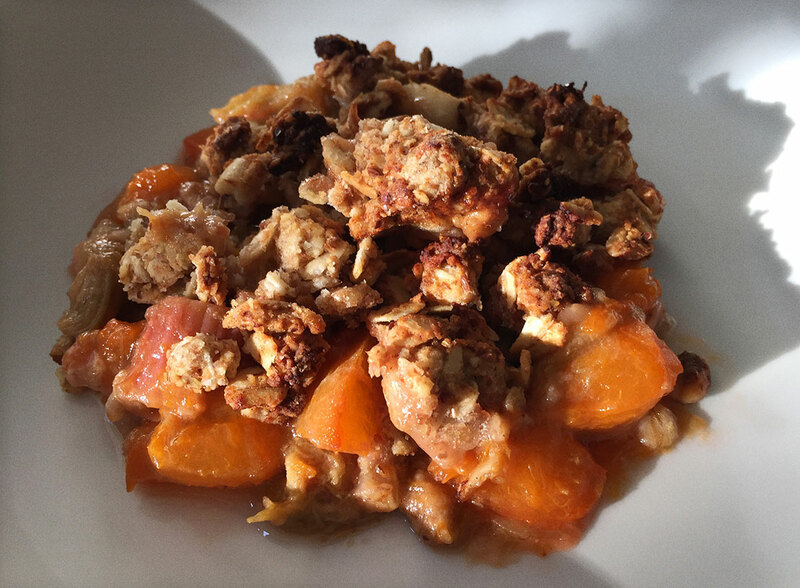 • To make the the crumble topping, melt the coconut oil or butter gently in a medium saucepan, combine the dry ingredients and vanilla extract and agave syrup or sugar. • Pour the fruit into an ovenproof dish about 24cm wide, and spread evenly with a spoon. • Sprinkle the crumble mixture evenly over the fruit base, making sure it is right up to the edges to prevent the fruit bubbling over when cooking. • Bake in the oven for 20 minutes, or until the crumble topping is crisp and golden brown. • Allow to cool and served with ice cream, coconut yoghurt or cream.